If you are one of those people that likes to maintain a close eye on the current state of your computers performance, you are sure to like that awesome computer tachometer dial. 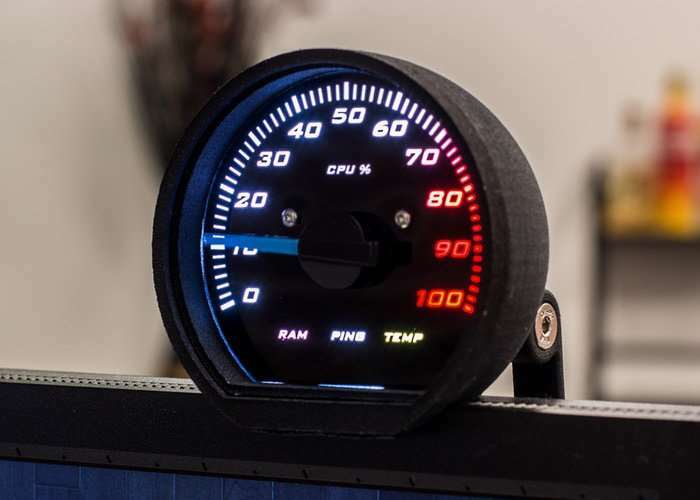 The computer tachometer can be mounted to your computer screen or desk and provides a unique and easy way to easily see the CPU, RAM, Temperature, and Ping Speed at a glance. CompuTach displays essential computer performance stats in real-time on an automotive style gauge, just like the dashboard in your car. Now, with CompuTach, you will be able to monitor CPU performance (CPU, RAM, Temperature, and Ping Speed) in real-time without having to close applications or take up valuable screen space. With our proprietary software, that we coded “as close to the metal” as possible, there is an absolute minimum parasitic load which ensures your computing power is used for the current application – not for running the performance monitor itself. CompuTach is now available to back via Kickstarter with early bird pledges starting from just $49 and delivery expected to take place during December 2017. For full specifications and more information jump over to the official Kickstarter campaign page via the link below.